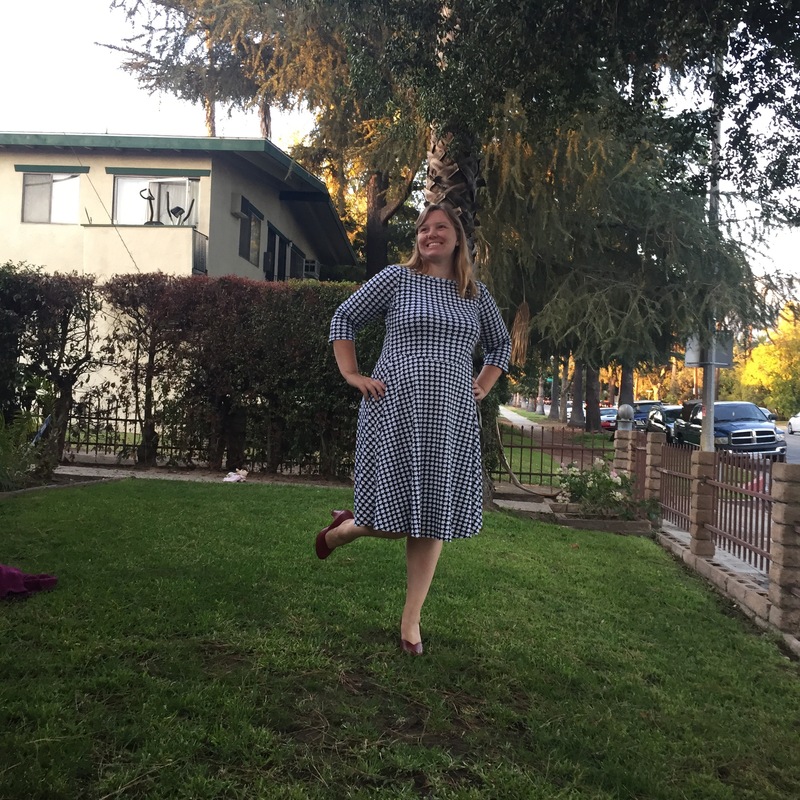 I have a new dress to add to my stack of Washington dress hacks! 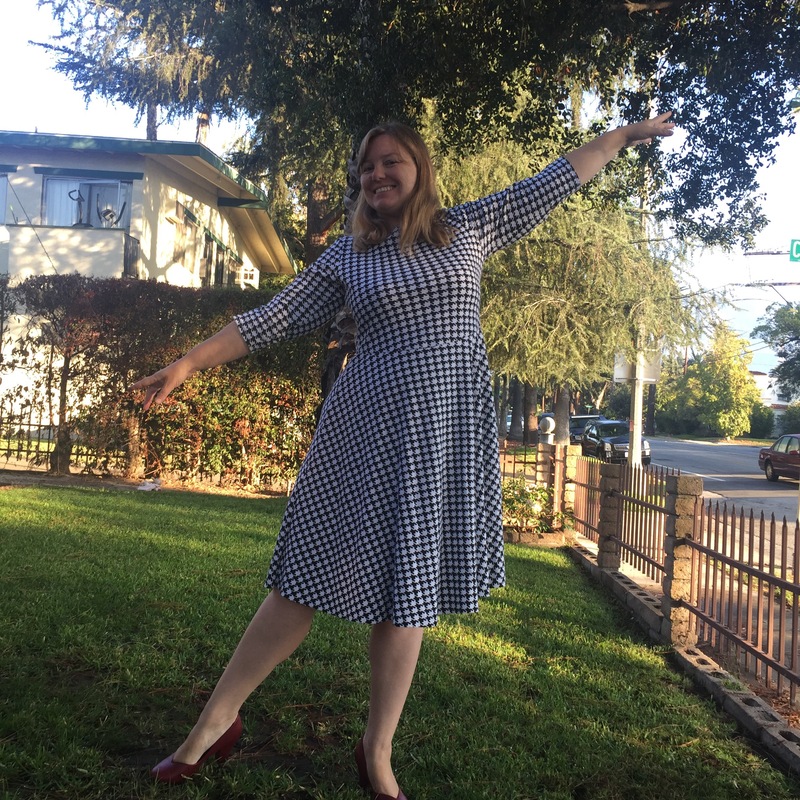 This time a mash up of the Washington Dress from Cashmerette for the bodice and sleeves, the Moneta from Colette for the neckline, and a self drafted half circle skirt. 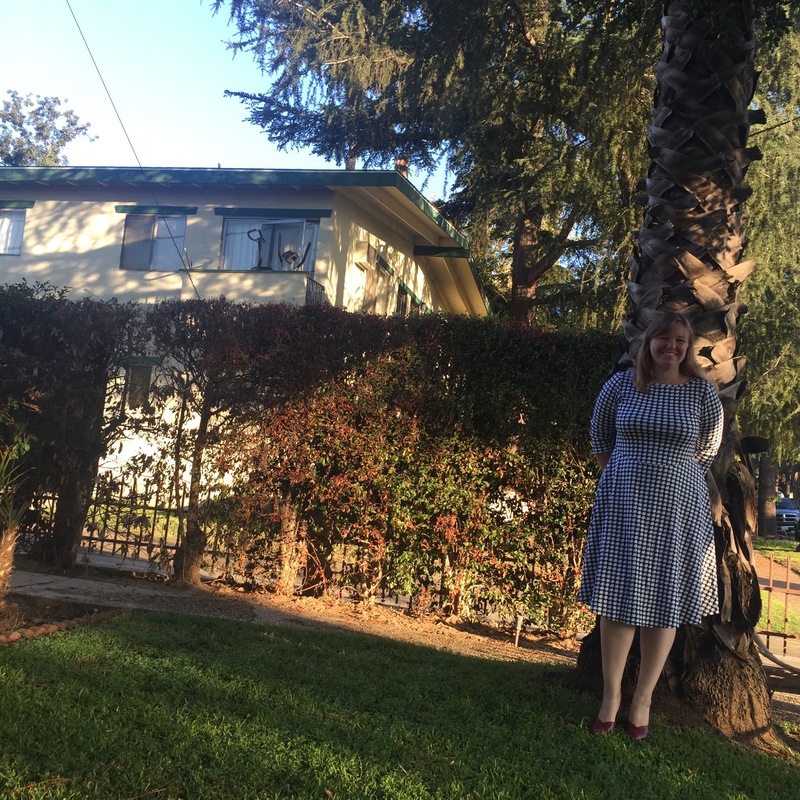 The dress overall turned out pretty great. I love the fit, but oh that pattern placement. As I was cutting the fabric the dog was walking back and forth over it and the four year old was standing over my shoulder asking me for snacks. I did great at placing the pattern for the sleeves and top, but the skirt is off. Dang! I totally forgot to make sure the center fronts lined up. 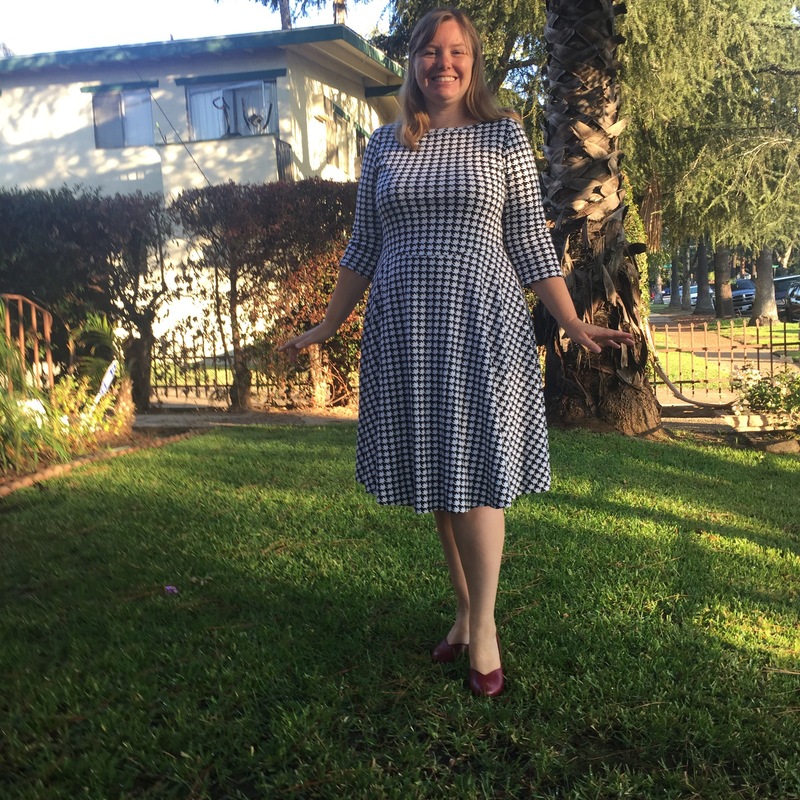 The fabric is Ann Kelle Remix Knit from Robert Kaufman. It is a 100% cotton interlock. I’ve used this fabric a few times before and this is the most success I’ve had. Why? Well I took a step away from my serger and made the entire dress on my regular machine using something like a baseball stitch. It has become my go-to stitch for knits since I don’t have the lightning bolt option. I really wish I could fix the pattern placement. I suppose I could, but the fabric doesn’t take to seam ripping very well. I’d ended up having to cut all the pieces apart and deal with having the lengths of the skirt and bodice be too short. So I think I’ll just leave it and try to take the misplacement as a reminder to slow down when I’m cutting. At least the fabric only cost me about $9 at M & L Fabrics and about 2 hours of my time. And here is what it looks like at the end of the day. Stretched out for sure, but a run through the dryer will tighten the fabric back up for the next outing. 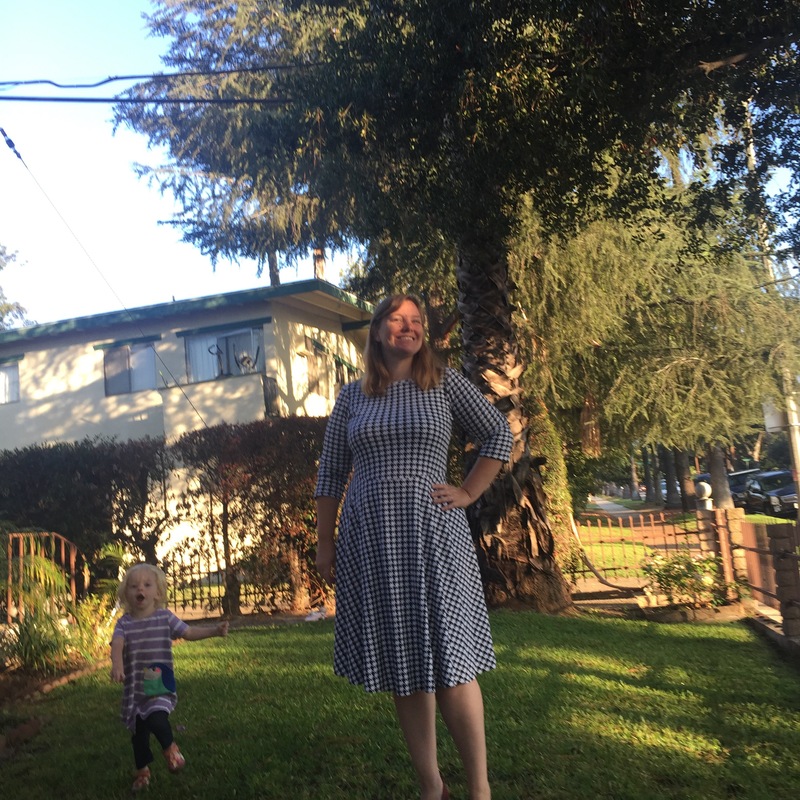 And I at least have one more nice heavy weight knit dress for winter!